A masterpiece and yet another classic from the era of classics - the late sixties. 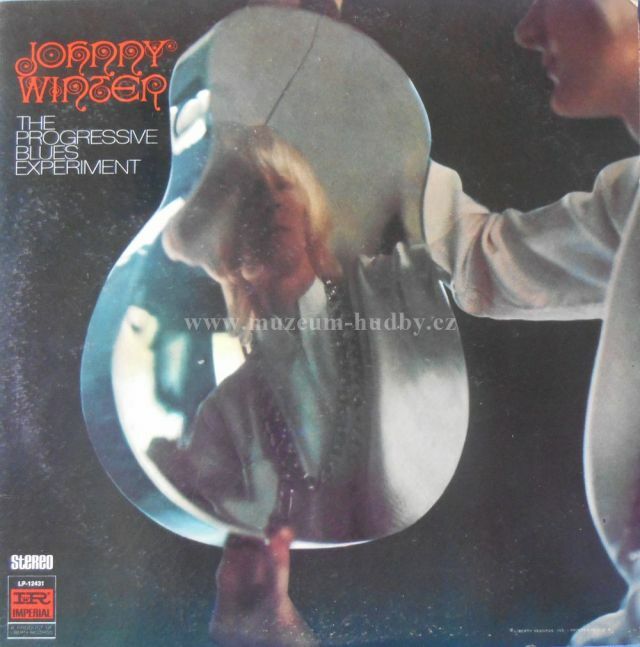 The Progressive Blues Experiment is the best Johnny Winter album I have heard (there are a TON of them) and has a very good shot at my top ten blues rock albums of all time (insert Kanye West joke here - thanks Sporcle). Although Winter was active before this release with various small groups and also produced First Winter, this album is considered his first major release. 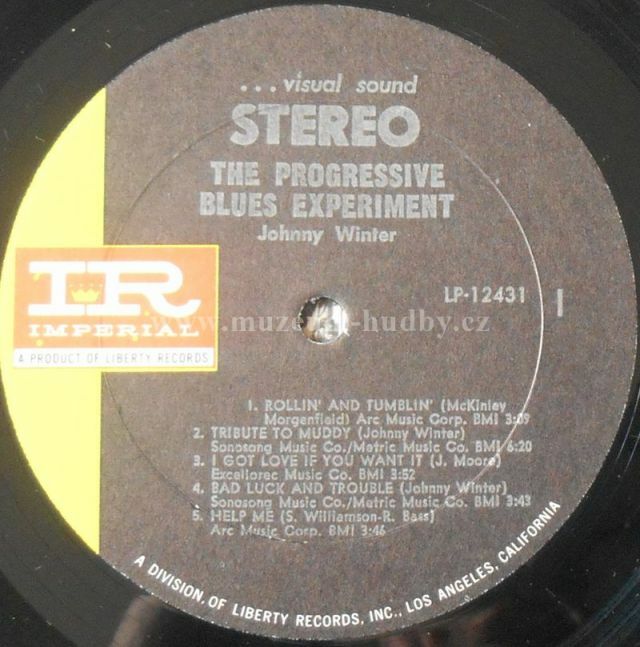 What makes The Progressive Blues Experiment so wonderful is the way it captures not only early Johnny Winter, but also the revolutionary way he and his band approached the blues. There certainly were blues rockers prior to Winter hitting the stage, but I can think of no one that had the musical package he possessed. Johnny plays with extreme amounts of passion, his guitar playing is in a realm that only a few people in 1968 were in, his phrasing is delicious, and his fusion of gritty vocals with his playing is electrifying. Often using long, drawn out vocal yells and vocal-guitar unison, he was able to establish a sound no one has duplicated since. 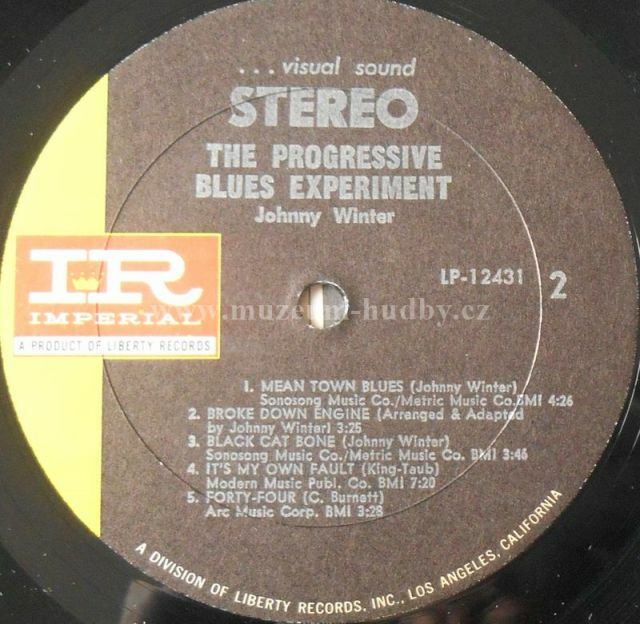 Of course, all of these qualities carry over to Winter's subsequent albums, but The Progressive Blues Experiment has a unique blend of raw energy, talent, and great blues melodies. It should also be noted that Tommy Shannon (will later play in Stevie Ray Vaughan and Double Trouble) mans the bass here at the tender age of 23. There are so many goodies here. "Rollin' and Tumblin'" opens with the most infectious melody on the album. 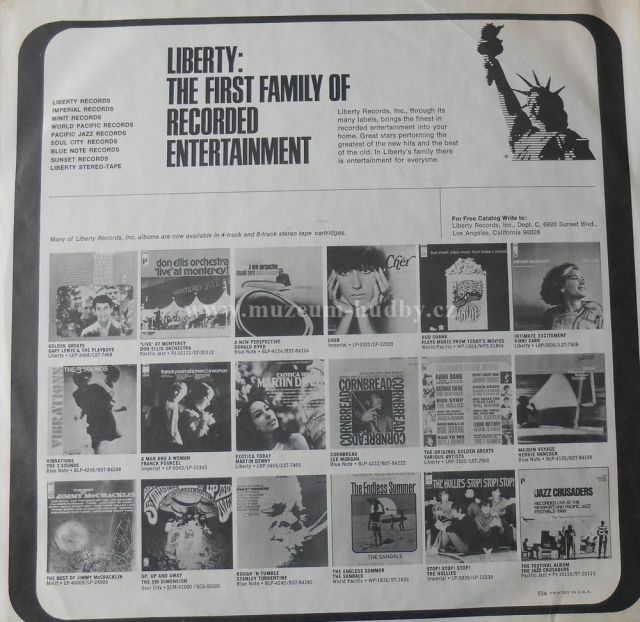 I remember the first time I listened to it and thinking, 'wow, this is the late sixties???' 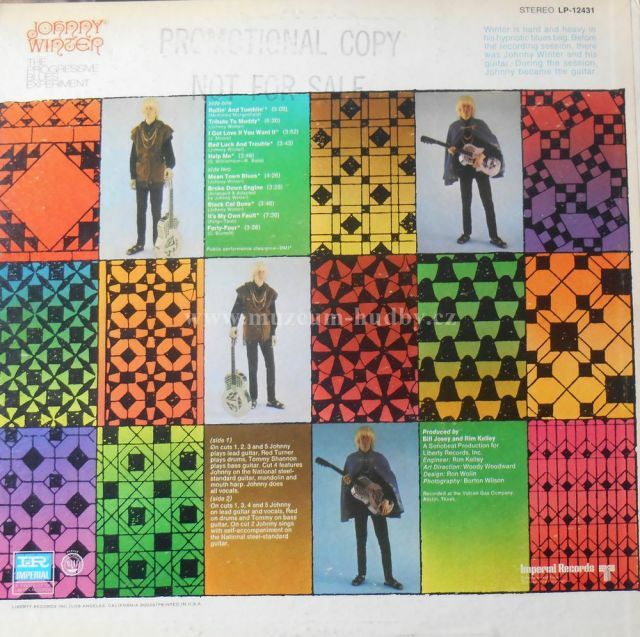 This album is more than just a rock em' sock em' blues engine, Johnny whips out some fantastic slow slide guitar on two of the tracks: "Bad Luck and Trouble" and "Broke Down Engine." Both of these tracks are in the stripped down, traditional blues style and the latter of these two is just acoustic slide guitar and Johnny, no one else. If I could only recommend one track on this album, it would have to be Winter's cover of "It's My Own Fault." The track is over seven minutes in length, features amazing solos, catchy melodies, and one of the best endings I have heard to a blues rock track in a long time. Perhaps taking inspiration from Beethoven, the track sounds like it could end anytime around 6:15, but just keeps going and develops into sort of a battle between voice and guitar to try and outdo the other. More than a minute later and numerous vocal and guitar licks, the track concludes. If there was a complaint with this album, it would be that slightly more than half of the tracks are covers. Winter obviously has a trained voice, but forcibly abuses it to achieve the intensity he desires on some of the tracks. The Progressive Blues Experiment is shockingly raw at times, the guitar is sloppy at others, and the vocals sound somewhat out of control. However, this all adds to the greatness that is Johnny Winter. As the recording manager stated, 'Before the recording session, there was Johnny Winter and his guitar. During the session, Johnny became the guitar.' This statement makes perfect sense after listening to this album. There are not many blues rock albums out there that exert this amount of intensity. As mentioned before, this album is on my short list of all-time blues rock masterpieces and should be coveted by any blues rock or rock fan. It's not his high sounded voice who makes this album a gem, it's the virtuoso guitar playing who gives this album a place in the annals of blues rock. Song highlights are the Muddy Waters original 'Rollin' and Tumblin', the self-penned and traditional interpreted 'Bad Luck and Trouble' and the rockin' 'Mean Town Blues', the brilliant delivered version of the B.B. King classic 'It's My Own Fault' and the catchy Howlin' Wolf blues 'Forty-Four'. Legendary blues rock album, Johnny Winter was among the best! This is the first professional recording by the legendary US Blues-Rock guitarist Johnny Winter. Although recorded in 1967, it was released only two years later, when Winter signed with Columbia and released his sensational debut album on that label, in attempt to "catch a ride" on his fame. Nevertheless this is a superb recording by itself and presents Winter already at the top of his powers, playing here in a trio setting with bassist Tommy Shannon and drummer Red Turner. There are only very few guitar players as good as Winter, when it comes to playing the Blues and mixing it with Rock, so this is simply a classic of the genre and an absolute must for every Blues-Rock fan. Raw, hard chargin' Texas Blues. Johnny Winter delivers in spades on this excellent album. 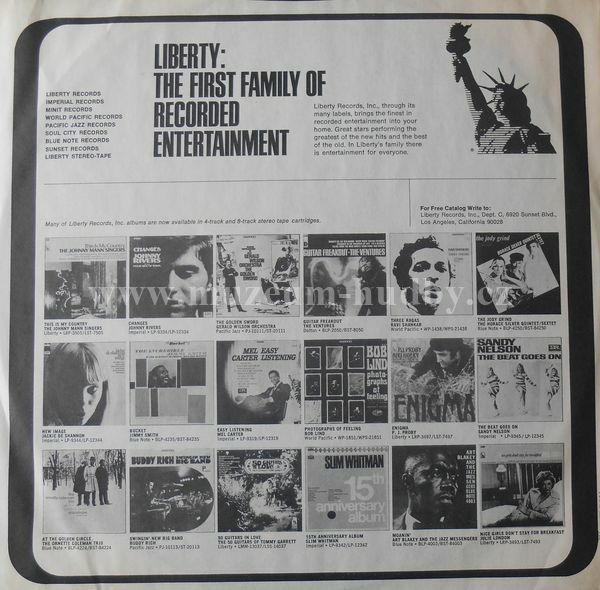 Recorded in 1967, and released two years later, the album is a collection of mostly standards, and four originals. The main point here though is the guitar slingin' from Winter. Fast and fluid throughout, whether it's electric or the National Steel, Winter plays in flawless style from start to finish. With a title like Progressive Blues Experiement and given the 1967/1969 time frame, a pretension alert at first glance would be understandable, but fear not! There's is nothing here but the real thing. Another thing that I noticed, was that the originals on the album sound like they could be standards as well, fitting in perfectly next to the others. If I hadn't read the songwritting credits, I might have easily supposed that they were all written by great Chicago and Delta bluesmen. The guitar playing though, leaves no doubts in the listener's ears. It's all Johnny Winter! Stunning pre-debut album released around the same time as 1969's Johnny Winter. Recorded in 1967, Johnny and his band tear through quite a few classic blues numbers. While his official Columbia debut is the best starting place, The Progressive Blues Experiment sounds much more raw and much less subdued. The 2005 remaster sounds great as well but is lacking in liner notes. This is one of the best Texas blues albums ever made. Johnny is a god of slide guitar- no one ( including Duane) plays it better. Get this and And Live if you want some smokin hot blues guitar. Absolutely rippin.